There are now FOUR contests with $1,400 total in prizes! Back again by popular demand. Plus…a special new category for Certified SFG Instructors ONLY!! Build a SFG this summer and be a Winner! I’ve also added a special one for Certified SFG Instructors only! I want to highlight your Square Foot Garden to the rest of the world. What better way than to start a contest so you can show off your garden and at the same time win prizes! As you can see above, your garden can be located just about anywhere under any category, and used by anyone. The chart below lists the four contests we have going with their details. All you need to do is pick one (and only one) and sumbit the form below the chart and you’re ready to grow! Here is a comment from last years contest that I think tells more than words what this means for families that garden together the Square Foot way. Stephanie, Texas Dear Mel, My son and I entered your photo contest but did not win. You know the best part was actually putting together a few pictures and thinking about what a wonderful bonding time we’ve had this summer. A few moments in the sunshine of childhood is a very worthy investment. Even if we’ve only gotten a few cucumbers out of the deal. Thanks Mel for the inspiration and chance for reflection. Looking forward to our Fall and winter garden and an expansion next Spring! Important Note: All prizes are gift certificates redeemable for any product (shipping/handling not included) at our online store. First of all I want to thank you for signing up to one of our contests this year. I’m very excited that you are participating and I wish you the best of luck – hopefully you can win some big money! Before that happens though, you need to know exactly what the rules of our contests are. We encourage you to keep notes and photos during the planning, building, planting, and harvesting stages. When you first sign up to enter ANY of the contests, we will e-mail you instructions on how to submit your pictures an final entry, a free copy of our SFG Tips, as well as my advice on how to become a contest winner. 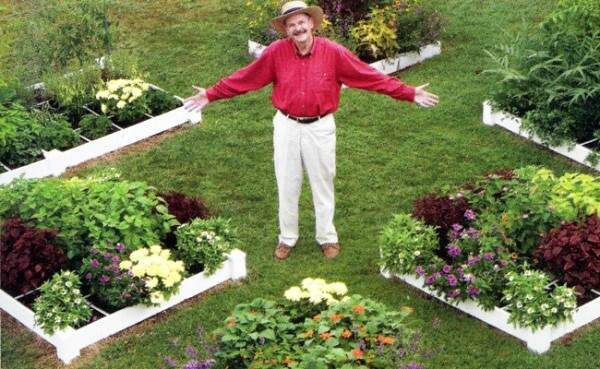 Create a SFG bed at least 32 square feet (one 4’ X 8’ or two 4’ X 4’ beds) or larger in your front yard. The garden must be visible from the road. Plant crops that will look good as all your neighbors will be very interested and may want to follow your lead. Keep notes of their comments for your entry report. This contest prize is for teachers of public, private or even home schools with at least 4 students. You can build and plant a garden or do any type of school science project that relates specifically to SFG. This contest is dedicated to Gail Bartholomew Osgood. For more information on Gail, please click here. For any family shared type garden between kids, parents, even grandparents. Give each child their own 3×3 with adults a 4×4. Let each plan, plant and care for their own box. Share the prize with all that participate. This contest is for currently registered Certified SFG Instructors only who create a display and teaching garden of at least 64 square feet at their home, community or any other public area in their town. This contest is the only category open to a currently registered Certified SFG Instructor/Teacher. If you have any questions about this contest, feel free to contact me. I was planning on sending a photo to Mel anyway. We’re so excited to finally get a SFG going after all this these years. (Maybe next time you have a category for first timers.) I remember watching the TV show way back on PBS. I’ve love to see that photo Jeff. I am not quite sure I understand some of your letter. It sounded like you thought there was not a category for the photo contest that you could enter. Why not the family category? Especially if you remember watching the TV show. We are in the process of editing some of the those TV shows and bringing them up to date with comments and we will be offering them on our store website. Since you’ve watched the show 30 years ago, tell me what you remember to share with all the newcomers to SFG now. Do you remember if the shows were on PBS or the Discovery and Learning Channels? That would tell me what years you were watching. I hope you can enter the family category and we’ll look for your registration. Dear Mel, This was our first year to put a square foot garden in a 4×8 box my husband made. We did the soil just as you said, but it seems everything is growing soooo slow that nothing will harvest before the harvest time is over. What do you think we did wrong? the garden was put in in July. We do have a big tree nearby. Slow growth is probably because of the compost that you mixed in with your vermiculite and peat moss. I need you to tell me… did you use those 3 ingredients? Were they about equal in volume? Tell me exactly what your blended compost was composed of…did you buy it in bags? How many different kinds did you use? A good blended compost will come from at least 5 different sources. Keep in mind that peat moss is usually sold compacted by the bale. Two sizes are common – 2.2 cu. ft. that expands to almost 5 cu. ft. and a large bale that is 3.9 cu .ft. that expands to almost 8 cu. ft. So maybe you used the compacted capacity and have 2 times as much peat moss as the formula says. Check the SFG book to make sure you have the formula correct. Concerning the tree…is it close enough so that the tree roots might be taking the nutrients from the box garden? Is your box in the shade of the tree? You just said it was close..are you getting 6-8 hours of sunlight on your box? When you say slow growth, are you comparing it to the rest of your garden, past experience, or a neighbor’s gardens? Call your county agricultural agent, you can find their telephone number on our website and see if this is a good or bad year for home vegetable gardens. Let me know about the blended compost materials, where you got them, and what they are so I can help you further.